There may be times where you encounter water and surface problems with your swimming pool. Be sure to check that the pool water is correctly balanced prior to treating it with any corrective chemicals. There is the possibility that your pool will acquire algae after a period of time. The algae that pool owners need to watch out for is cyanobacteria, commonly referred to as blue-green algae. The plant-cross-bacteria can blow into a pool and multiply at an advanced rate: a pool could be perfectly clear one day and the next, have a murky tint that resembles that of a pond. Algae can be killed with chlorine, however, on some occasions the algae growth can be so severe that it is growing quicker than the chlorine is able to eradicate it. There are algicides available, those falling into three different types: those with copper based compounds, quaternary ammonium compounds and polymeric quaternary ammonium compounds – the last two are often shortened to Quats and PolyQuats. An extremely effective killer of algae is copper and will often be held in a complex of other chemicals so it can then be released to kill the algae. After you have killed the algae, be sure to filter out the pool using clarifiers. For more information about our swimming pool chemicals, please visit our website! The cleanliness of your pool is very important, especially in peak times of using it, for example, in summer; but sometimes it may be difficult to spot the solution to your swimming pool’s problem, making cleaning it an obstacle. Your pool’s water is green, cloudy and/or has slippery sides, the cause may be algae. To solve this problem, you should shock dose the pool with chlorine and add a chemical that is tough on algae. Your pool has too much chlorine, you may have overdosed the pool. A way of solving this problem would be to buy a chlorine reducer or allow time to take its course for a natural reducing of the chlorine. Your PH levels are hard to control, your pool’s alkalinity might be low. To solve this problem, you should seek out advice on how to increase the levels of alkalinity in your pool. Your pool’s water is cloudy, your chemical control could be poor, or the pool’s filtration could be inadequate. To sort this problem, you should clean the cartridge, check the PH and chlorine levels of the pool, and if necessary, adjust them. If the problem returns, purchase a pool clarifier to extinguish the small particles. Your pool has rough sides and edges, scale could have formed due to the elevated levels of calcium in the water. Make sure that the PH levels are where they should be first, and use a pool scale inhibitor to stop calcium advancing out of the water. There isn’t a colour change on the test strip’s dip test, the cause could be too much chlorine in the water, (over 15ppm chlorine) leading to the bleaching of the indicator pads. The fault could be from the test strips, so make sure they are within date and then wait for for the chlorine levels to drop and try the test again. Your pool is beginning to foam, this is because the cleaning products that have been used are incorrect and are not compatible with the water in the pool or because of the excessive use of algaecide. The prevent this problem from happening, deter from using household cleaning products for your pool. For more information about swimming pool chemicals, please visit our website. Check out our swimming pool tips here! With the weather seemingly getting hotter and sunshine greeting us on an almost daily basis, we thought it was a good time to write up some top tips for pool users everywhere! In this blog, we’ll discuss the ins and outs of cleaning your swimming pool, with the maintenance and pool care tips giving you an understanding into just what your swimming pool needs to stay healthy. For a full list of fantastic swimming pool chemicals, please visit our website! In order to get the maximum level of effectiveness for the pool sanitizer, pool water MUST be circulated. The more often that water is in motion; it’s a lot harder for bacteria to take hold of the water, along with algae. Debris that exists in the water can be captured by the filter that moves the water around the swimming pool. Also, it should be noted that the best time to circulate water is throughout the day, for around 10 hours or so. The filter of your swimming pool is actually one of the most vital pieces of equipment in your inventory. The process of the filter is to remove elements of visible debris, with pieces of microscopic matter also being filtered by the swimming pool. Usually, a filter should be backwashed, where this is the process of removing materials that get trapped in or on the filter material. You can find chemicals to clean out the filters on our website. How can you care for your swimming pool? You should know that, depending on your swimming pool, some models have areas that hold little or no circulation at all. In these parts of the swimming pool, bacteria and algae can begin to be produced, which is bad for the health of your pool. It’s a good idea to brush and vacuum the walls and floors of this area every week in order to remove the amounts of debris that is missed by the filter. Brushing the different areas of the swimming pool is a definite, especially if you have an automatic pool cleaner or even have a weekly cleaning service for your pool. Swimming pools have a number of different characteristics, which will change depending on the manufacturer. These characteristic should be measured and adjusted on a regular basis. The most important elements of the swimming pool are the pH and the levels of active sanitizer that exists in the water. In order to test these two different factors, checking at regular intervals that they’re at correct levels; overtime you’ll understand how to various different factors affect the elements of the water. Testing your pool water a number of two or three times per week will help you learn the ins and outs of your pool. Balancing the water in order to protect the equipment and surfaces around the pool. Finally, you should remember that this will supply you with a fantastic swimming pool which has a perfect finish. Swimming pool chemicals are used to treat certain kinds of algae and bacteria within swimming pools, the chemicals include various kinds of sanitizers and disinfectants. With different disinfectants and sanitizers used in swimming pool chemicals the most common is “chlorine” which comes from chlorinating agents, this chemical dissolves as it is placed in water. There is also chlorinating liquid, dry chlorine and liquid chlorine. There is actually two different types of chlorinating agents which are called organic chlorinating agents such as potassium dichloroisocyanurate, trichloroisocyanuric acid and sodium dichlorocyanurate as well as Inorganic chlorinating agents such as lithium hypochlorite, sodium hypochlorite and calcium hypochlorite. These two chemicals are in fact not compatible with each other and when mixing or cross contamination occurs this can cause a form of explosive mixture. This can be caused simply when the same scoop is used for both chemicals without cleaning them. There are few things better in life than relaxing by a swimming pool on a sunny day. If you have your own pool, you have the luxury of swimming in complete privacy or share some fun with family and friends. But, with this luxury comes the responsibility of maintaining it. Most pool owners would undoubtedly love for their pool to remain sparkling clean without any effort, but even without heavy use, a pool needs to be periodically maintained. When you purchase the right pool chemical supplies from Case Chemical, this task is not as daunting as it may seem. Case Chemicals deliver a broad range of chemicals on a global scale, and the product range includes raw materials and blended products covering sectors such as marine, industrial and hotel and leisure. In addition we offer a comprehensive analysis service tailored to our clients requirements by combining scientific knowledge and responsible care. If you don’t know much about maintaining a pool, a good place to start is chemicals. Most people know that chlorine is used in swimming pools. It’s one of the most common and important chemicals you will use. Chlorine sanitizes the water by killing various forms of bacteria and algae. It can be used in a liquid, granular, stick, or tablet form. Other chemicals help make the chlorine effective and balance the pH of the pool. Feeding chemicals into the pool is made easier with floating or automatic chemical feeders. They slowly disperse the chlorine or other chemicals into the water. To keep track of all of these chemicals, every pool owner needs a test kit. It will tell you if your chlorine, pH, or other levels are not in the range they should be. You can quickly make needed adjustments based on these test results. As global providers of swimming pool chemicals, Case have all of the equipment you need to properly maintain your pool. With their help, you will spend less time cleaning and more time relaxing and enjoying your swimming pool. There have always been great debates over how to chemically treat a swimming pool. Pool chemicals are a necessity in order to keep the pool water healthy and clean, although some studies have shown that the use of chlorine may increase your risk of getting cancer. These, after all, are chemicals – and we should know as much as we can about what we are adding to our pool water. Having complete knowledge of the chemicals will ensure we are treating our water the best and safest way possible. Myth: Saltwater swimming pools don’t require chlorine. Fact: Because of the fears cause by chlorine warnings, salt water pools began to grow in popularity. However, saltwater pools are not a replacement for the traditional chlorine pool because chlorine is still necessary. Salt can not sanitize a pool on its own, and by using a saltwater chlorinator, salt is broken down and turned into nothing other than chlorine. Myth: Pool Chlorine is unsafe. Fact: Since 1908, chlorine has been used in our drinking water supply. Pool Chlorine is safe, as long as it is not exposed to and reacts with organic compounds. Despite the World Health Organizations findings, chlorine is safe for swimming pool use as long as quantities are measured and amount of organic compounds found in the water are kept at safe levels. Myth: It is not necessary to take a shower prior to swimming. Fact: Urine, sweat, body oils, and cosmetics all contain organic compounds. Therefore, to minimize the amount of exposure of organic compounds in the water, it is best practice to take a shower prior to going into a swimming pool. Myth: A clear pool is a healthy pool. Fact: Seeing is not always believing. 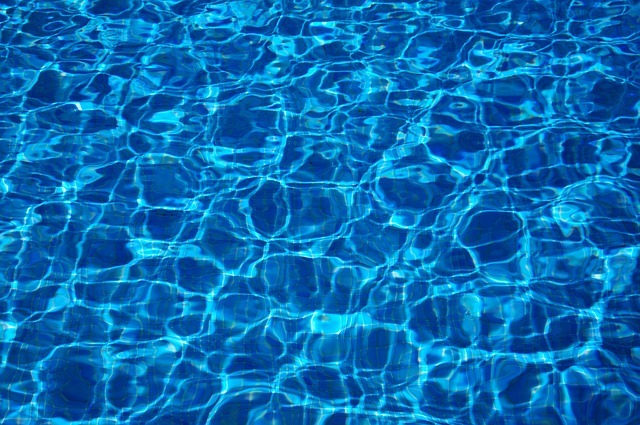 No matter how clean and clear a pool may appear, there can be unhealthy levels of micro-organisms in the water. Just because you can’t see micro-organisms, doesn’t mean you cant smell or feel them. Myth: Since a pool is disinfected, it is ok to swallow pool water. Fact: Even though our drinking water contains levels or chlorine safe for consumption, it is not advised to drink pool water. Our drinking water comes direct from a faucet, and exposure to the elements is minimal. Pool water, on the other hand, is completely exposed to the elements and it is best to minimize the rise and avoid consuming pool water. Myth: Chlorine causes redness in eyes. Fact: Chlorine does not cause redness or itchiness of eyes. In fact, the exact opposite is true. Redness or itchiness is caused by high pH or chloramine levels, and is a sign that there is too little chlorine in the pool. Myth: Swimming diapers do not contaminate the pool water. Fact: Swim diapers are not 100% leak proof. With that being said, a baby will contaminate the swimming pool if left in the water long enough. Myth: There is a pool chemical that can reveal urine in the water. Fact: Despite what you may see in the movies, such a chemical does not exist and it is nothing more than an urban legend. However, as we know, urinating in a pool is wrong and should never occur as there can be health complications to yourself and anyone else who may be exposed to the contaminated water. Myth: Chlorine can turn you hair green. Fact: Chlorine in the pool does not turn your hair green, but the copper in the water can. Copper is added to pool water to control the amount of algae growth. Preventive measures include wearing a swimming cap, or simply shampooing your hair once you exit the pool. Myth: Strong chemical odors means a clean and healthy pool. Fact: Pool Chlorine should not have a strong odor. If it does, it means it has mixed with high levels of contaminants. A well sanitized pool should have minimal odor. If a strong odor is present, it is an indication that something is wrong and the pool should be tested.